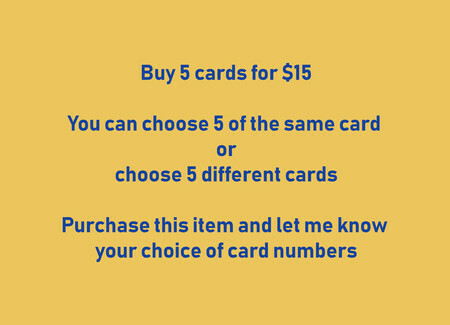 You can choose 5 cards all the same image or choose 5 different cards. Select and pay for this offer and let me know your choice please. 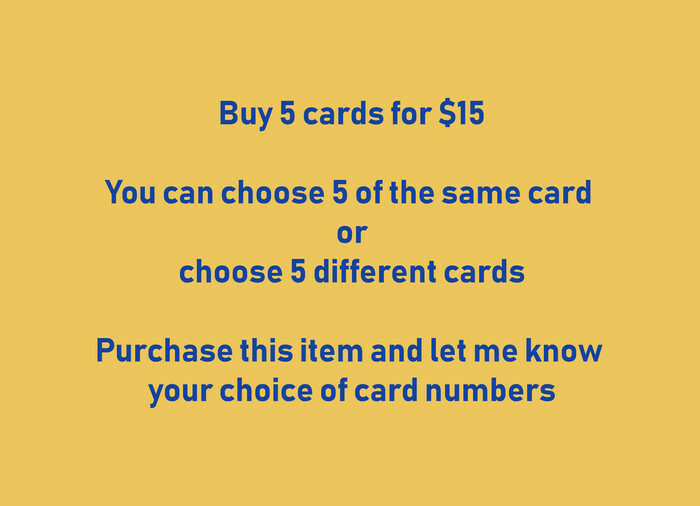 I need to know the number of the card or cards so that I can send to you. All cards printed on quality card, blank on the inside and with a description on the back, packaged in a cello bag.